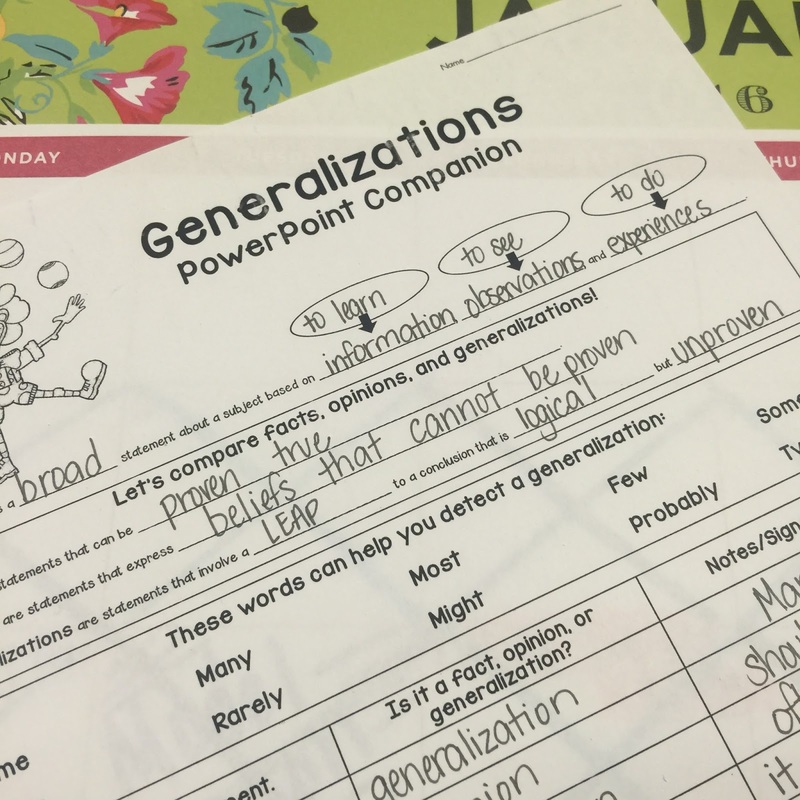 Confessions: Teaching generalizations scares me. This is SUCH a hard concept to teach, right? Or maybe it's just me. I decided to find some good resources to help me and I ended up spending several hours on Monday (our day off!) working on my lesson. It wasn't all rainbows and unicorns, but I felt like my students really have a better understanding on identifying generalizations, what makes a statement a generalization, and how they add to the plot. Are we experts? Nope! But we're getting there! Here's how I taught the scary skill of generalizations. Like any lesson, I started off by making an anchor chart. I use this one from Deb Hanson as inspiration! We HAVE NOT covered valid and faulty generalizations yet! My original plan was to cover this part of the concept this week, but I quickly saw that it would be too much info! 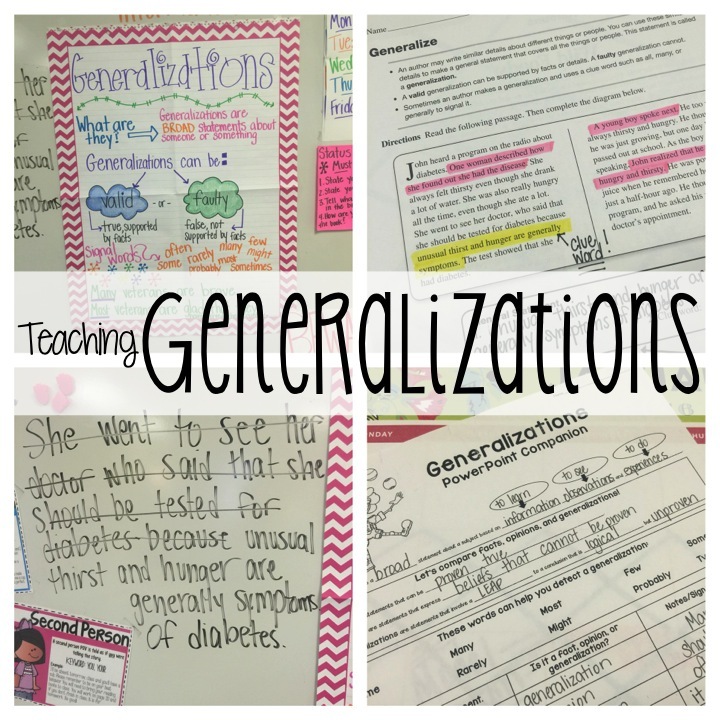 We then focused on the definition of a generalizations. Many of my kids were unsure of what the term 'broad' meant, so I showed several examples of how the word meant covering a large area or wide range; nonspecific. 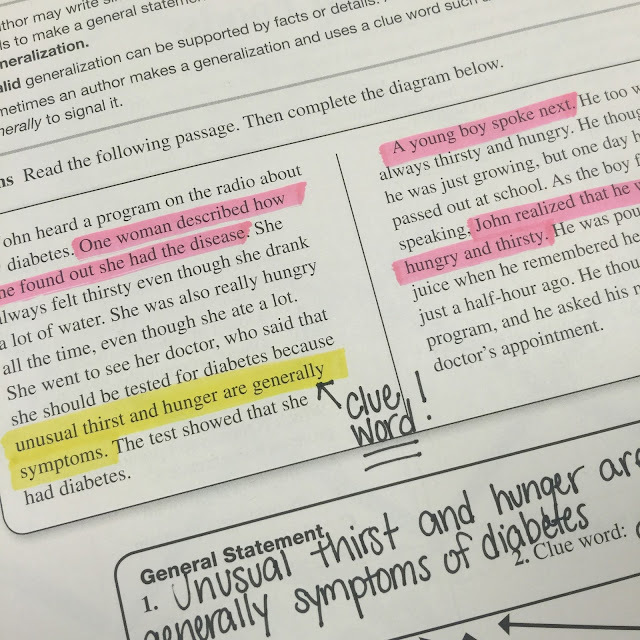 I used the example of how the entire 5th grade class was a broad subject whereas one student was more specific. This seems to help. The presentation came with this notes handout page, which we used. Next we moved onto the practice book page. My basal series is Reading Street, which I have a love/hate relationship with. The last two years, I've relied on JUST what the book provides for generalization practice. This year was the first time I pulled outside material and it was SO MUCH MORE SUCCESSFUL! It made this practice book so much easier and more meaningful. 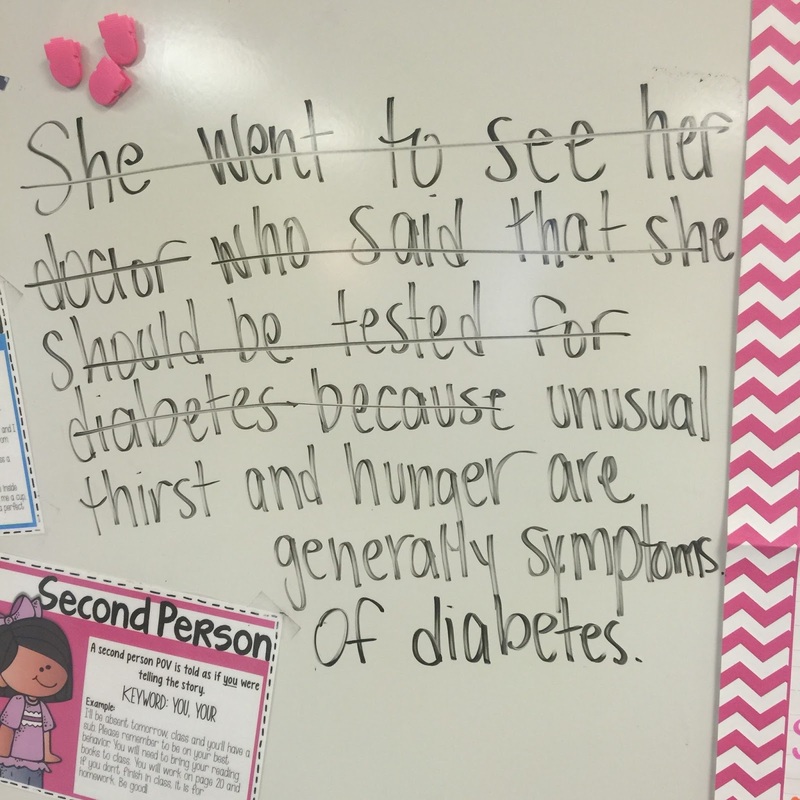 The passage contained the generalization (thank goodness we didn't have to determine one on our own! ), but it was included as part of a longer sentence. 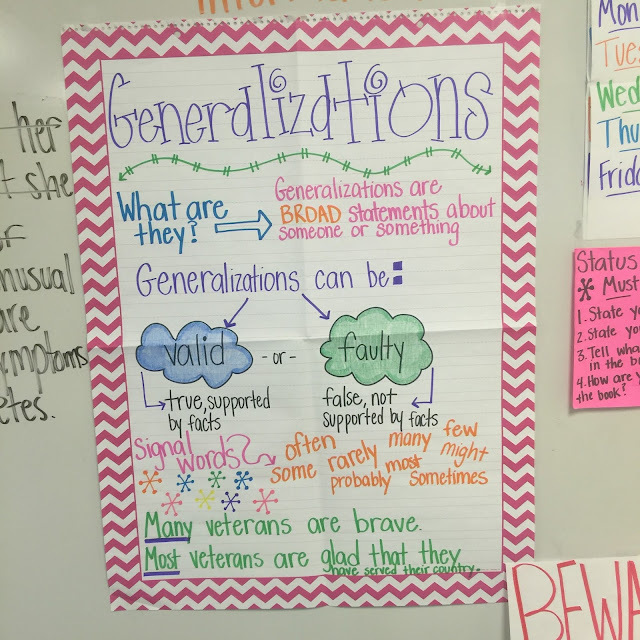 We determined what part was actually our generalization and what we needed to eliminate/add to it in order for the statement to makes sense. Messy, I know! 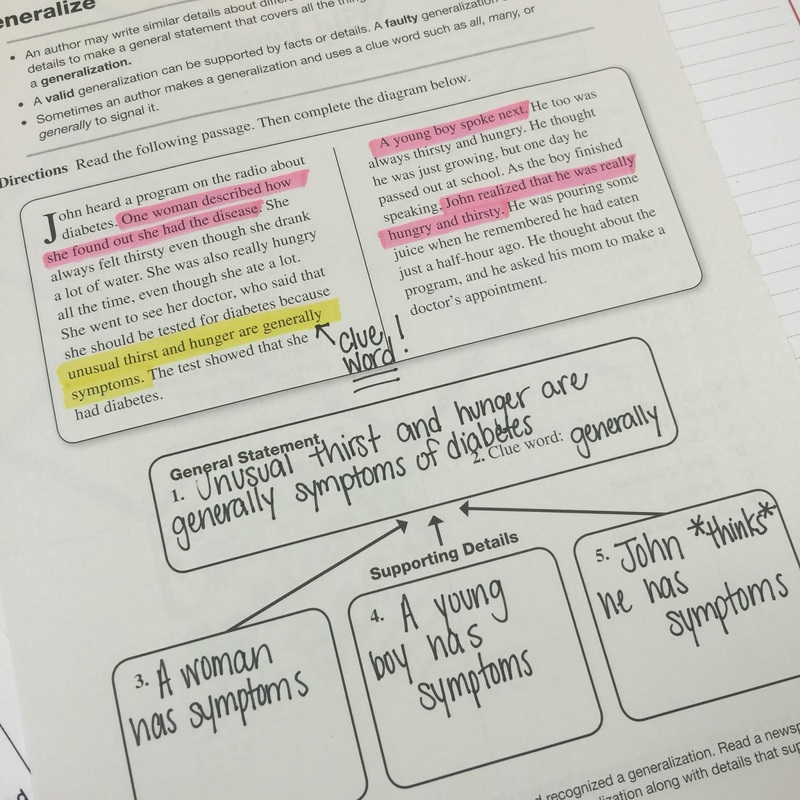 But it helped writing the sentence and eliminating the parts that weren't part of the generalization. Do you have a great strategy for teaching generalizations? I'd love to hear them! We also use reading street and this is by far my least favorite skill to teach! I hopped on Facebook to take a break from cutting out my generalization task cards on my couch and saw your Facebook post! I could not agree with what you are saying more, and plan to use some of your ideas. 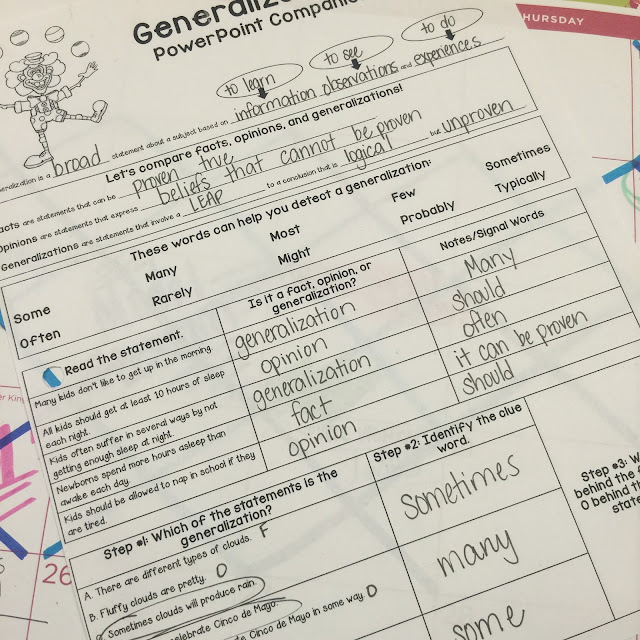 Also, maybe a gallery walk with pictures/header and have the students make either a valid or invalid generalization about that topic. 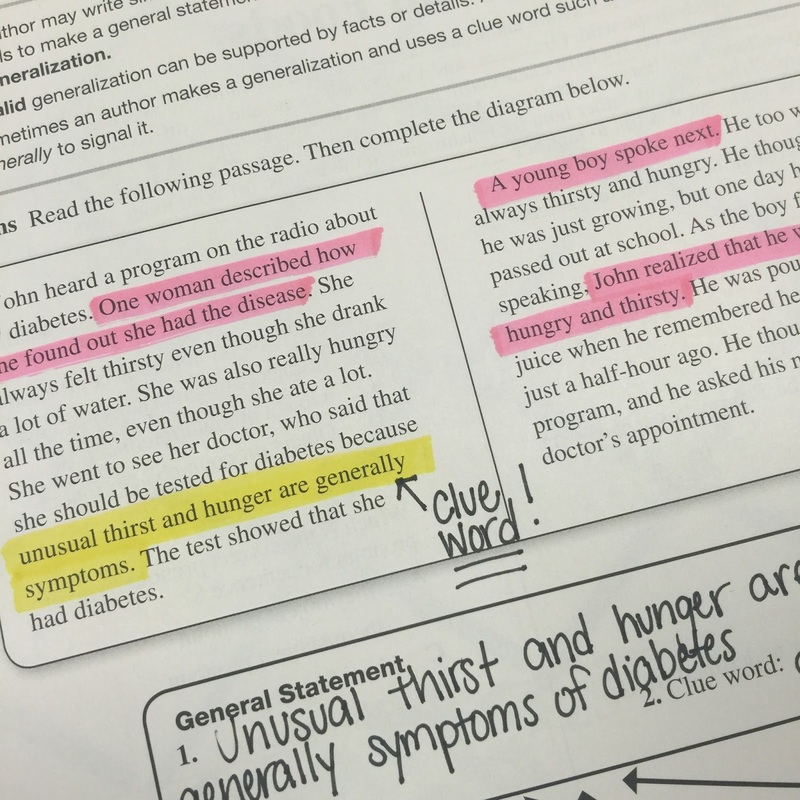 I teach special education (in inclusion setting) so I also pull the 4th grade practice book pages and fresh reads to use as an extra resource when teaching this skill! I love Deb's PowerPoint presentations too! I used her one on cause and effect this week. She's amazing!! Oh my goodness! THANK YOU!! I was trying to catch up on reading blogs, and was so surprised when I ran across my name in your blog post!!! I'm so glad that the PowerPoint was useful! I must say, I like your anchor chart better than mine! :) Thank you again! !